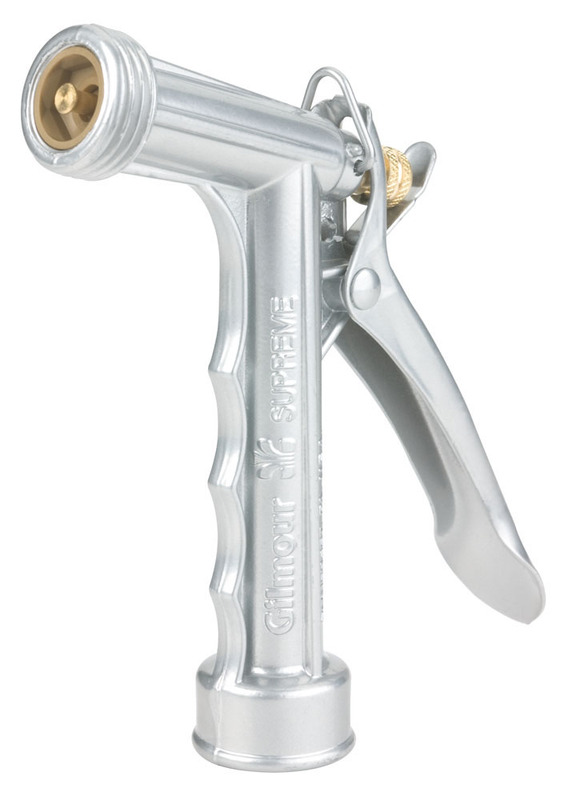 This hose nozzle is a full size, all metal hose spray pistol that includes a stainless steel spring and threaded nozzle front. 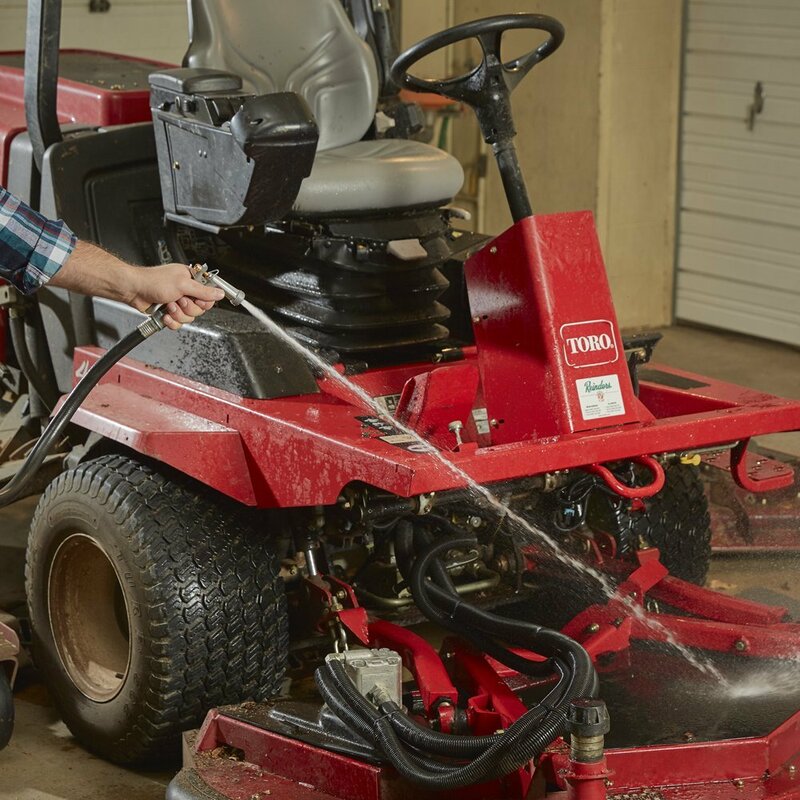 It has a full flow, cone shaped stream that is great for tough cleaning jobs. 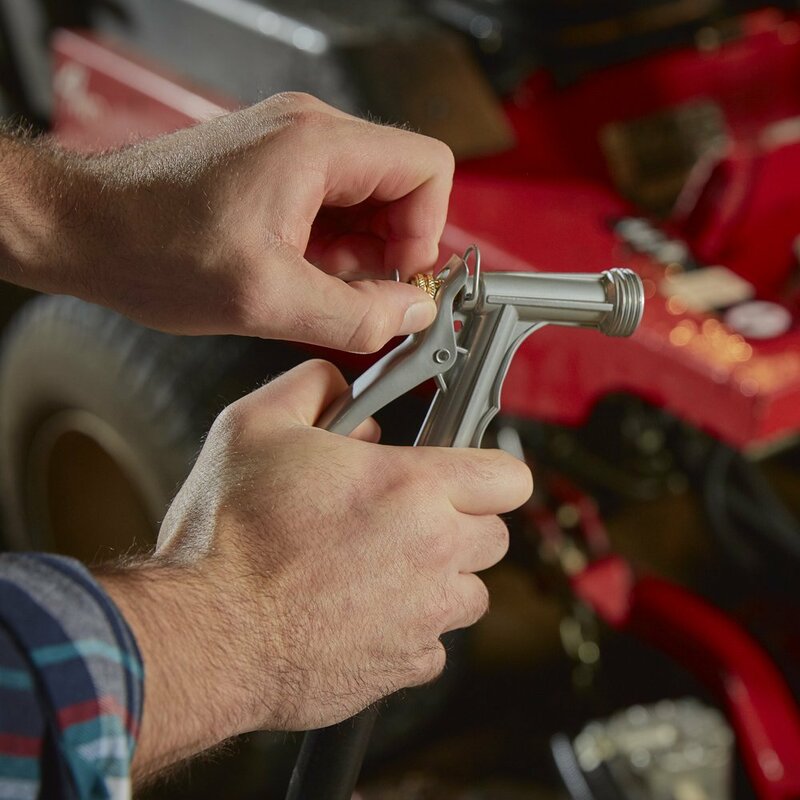 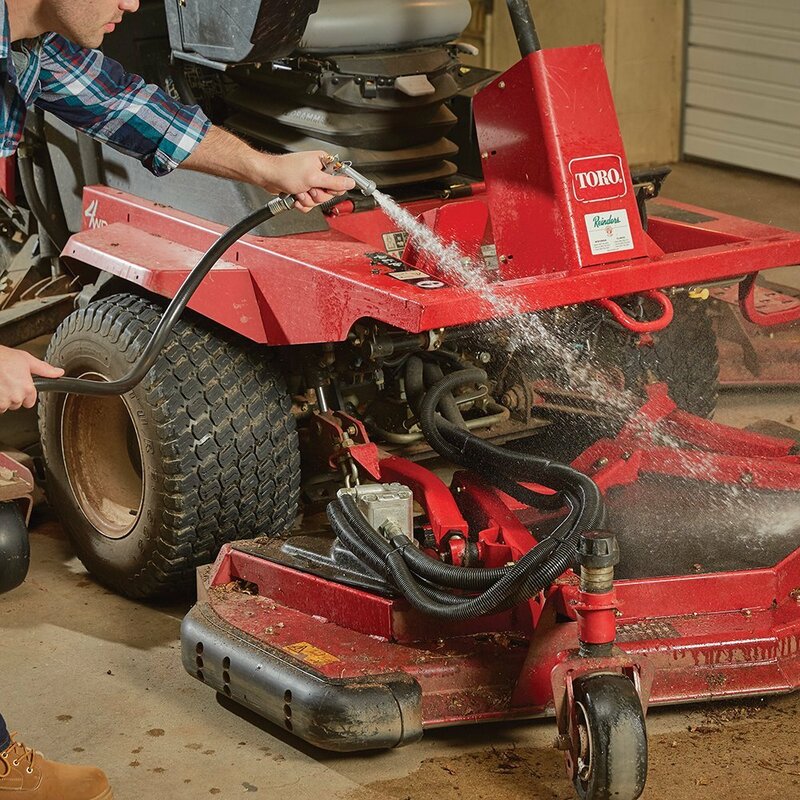 Features and Benefits include: A brass valve and adjustment nut, all metal construction, a clip to hold the valve open for continuous water flow, & a threaded front to allow connecting other hose threaded items to it.